In this episode, I chat with Christina Lowry about how to organise a professional photo shoot for your handmade business. Christina is a jeweller who began her creative journey via a silversmithing course. She then secured a jewellery apprenticeship, which led her to work in the traditional world of retail jewellery for a number of years. It wasn’t smooth sailing though, and eventually Christina realised she should start her own business. She jumped in the deep end and it took off from there! One of the things that Christina has done differently to many of us was to organise professional photo shoots of her jewellery collections, almost from the very beginning of her business a few years ago. 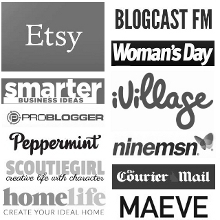 She has organised many of these shoots now, and has a lot of wisdom to share on how to do the same for your business without breaking the bank. We discuss the ins and outs of creating a professional ‘look book’ for your products, the challenges you might come up against, and the nitty gritty details of things like: ‘how do I find a photographer or model in the first place’? There are so many decisions to be made to ensure you get the most out of a professional shoot and lots of little details that need to be considered. We talk about how to get all this done economically and so that all parties benefit! 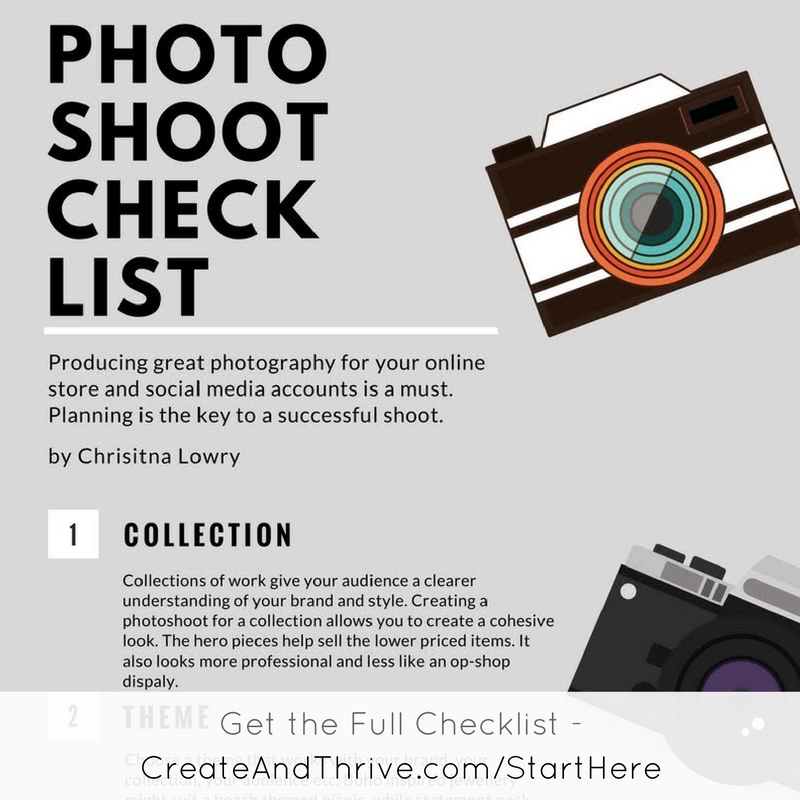 If you are a C&T email subscriber, there is an awesome downloadable photo shoot checklist that Christina has put together for you waiting for you over in the Handmade Business Toolkit! If you’re not a subscriber, click here to get access to the free Toolkit. Great photos are SO super important for your business, so make sure you listen to this episode for all the right pointers on how you can organise a photo shoot to show your products off in their best possible light. Good quality photographs are a must for small business. You can reach a broader audience with professional photographs. The investment really pays off for the long term as the photos can be used across all mediums. It can be very important to have a collection in order to have a vision. You can find photographers and models who may be interested in bartering as a cheaper and collaborative way of getting great photos. Look to your friends and family who may have great locations for photo shoots. Going on location scouts can be heaps of fun too! The location needs to offer amenities such as a place for the model to change. Make sure you check permissions and also see if there are any fees involved with using the space. Make sure you give yourself plenty of planning time and also a back up plan in case the weather turns. Make a list: you may need more than you realise so take whatever will be useful or could be useful. Write an itinerary so that all people are on the same page with how the shoot will run. Have a shot list to ensure you are getting the pictures you want. Pinterest is a great resource for inspiration on the style, ideas and props. Set out an agreement so that every party knows what usage rights they have with images. It is so important to attribute the work to those who put in the hard yards. It is so great to collaborate and celebrate each others skills. Don’t make it too complicated to begin with. Use what you have and work from there. You can start small. Head to the Create & Thrive Product Photography Guide for further reading. EXCITING NEWS: Set Up Shop will be running again starting October 3rd, 2016!